Every year, approximately 6.5 million pets enter animal shelters across the U.S, and about 1.5 million of those animals are euthanized because they haven't been adopted, according to the American Society for the Prevention of Cruelty to Animals. Many people brush off adopting a shelter cat or dog because of misinformation about them. We spoke to employees and volunteers at Chicago-area shelters to debunk myths and clear up common misconceptions about these adoptable four-legged companions in need of fur-ever homes. Julie Wheeler, who works at Spay and Stay shelter in Vernon Hills, shared the top shelter animal misconception she hears: There must be something wrong with the animal or it would not be in a shelter. “Why would a person give up a wonderful pet?” she said, regarding what people often ask. A volunteer with Magnificent Mutts and Meows Rescue, Dina Sbertoli, said she too hears that question. 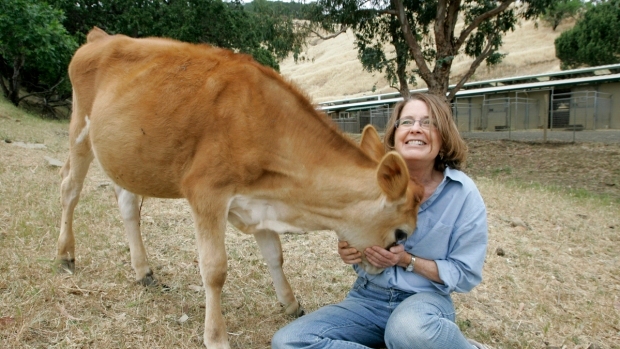 “Until I began working in rescue, I never realized how many animals lose their homes due to people moving, going into nursing homes, or even dying with no back-up plan for their pets," she said. Sbertoli said there is often nothing wrong with shelter pets. Rather, previous owners get a new pet that essentially replaces their older one. “The family has a ‘baby pet’ and no longer wants their previous one,” she said. Part of the Clear the Shelters initiative is to help get adult pets - meaning 6 months old or older - adopted. Adoption fees will be discounted or waived at participating shelters only for adult pets on the event date. “Adult cats are the best,” Dasha Ott, another Magnificent Mutts and Meows volunteer, said. She added that people often prefer kittens (or puppies), but do not consider that kittens need to be adopted in pairs if there is not a resident cat at home to help take care of it because a singular kitten is a lot of trouble. “Adult cats have their personality and activity levels already set,” Ott explained. While that may be the case, Ott has noticed that it is tough for cats 5 years or older to get adopted. Because of the superstition associated with black cats, they often stay much longer at the shelter, according to Zaremba. Pets with black fur, in general, often spend more time at shelters because people simply do not like the fur color, Ott added. Here are some tips for what you should and shouldn't do if you find a stray cat. Actually, most shelter pets, specially older ones, are already housebroken. But, if the animal is not completely potty trained, and you're willing to put in the work, pets can learn routine at any age, according to the ASPCA. "Even litter box issues are resolvable," Sbertoli said, referring to shelter cats. 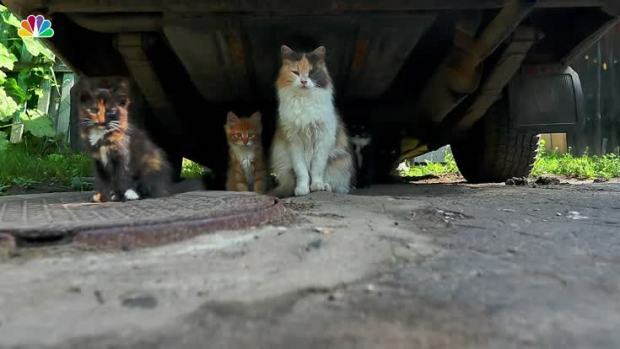 Though pets may have been dirty when they arrived at a shelter, they receive much care there, which includes cleaning them up and even giving them medications, if needed, according to Ken Edwards, who volunteers with New Beginnings for Cats in Bourbounnais. Edwards said that while cat leukemia is contagious to other cats, it is specific to saliva and other DNA contact. It is not contagious to other species. This goes back to the misconception that there must be something wrong with shelter pets. Many shelter pets who were abandoned by owners learn how to be well behaved house pets with proper training, Wheeler said. Experts note that even pets from a breeder aren't "perfect," and can develop behavioral problems if they aren't properly trained. The main fact is that every pet needs to be trained. A Los Angeles-based photographer is using his studio to take free portraits of rescued pit bulls. 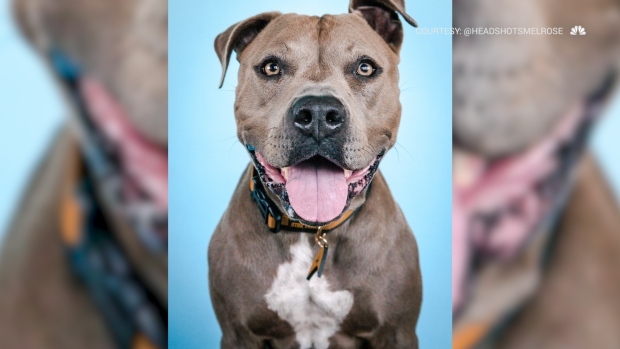 Headshots Melrose owner Peter Michelena plans to publish the photos in a book with the hope that it demonstrates, despite common misconceptions, pit bulls are just as loving as other breeds of dog. Michelena adopted a pit bull and fell in love with the breed. Proceeds from sales of merchandise using the dogs' photos will benefit animal rescues and charities.